Selecting safe gaps in traffic when turning, overtaking or changing lanes is a key hazard perception skill. Gap selection is also very important at intersections. 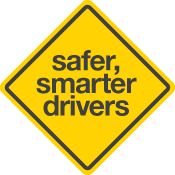 Many crashes happen where the driver selects a gap that is too small and collides with another vehicle. A safe gap is one that enables you to turn, overtake, change lanes or cross an intersection without being involved in a crash or endangering other road users. This means that no other road users should need to take action to avoid your vehicle. For example, if you make a left turn from a side street onto a main road and the traffic on the main road has to brake heavily or change lanes to avoid colliding with you, the gap was not safe. If a gap is not large enough it is unsafe and you should not go. Remember, good hazard perception is as much about recognising when to stay as when to go. As noted in the section titled How the Hazard Perception Test works (see p 12), The HPT may present you with some situations where it is not safe to turn, overtake or cross an intersection. It is therefore important to recognise safe and unsafe gaps in traffic. For example, in the picture below, the gap is too small for the driver to safely complete a right turn. Would you agree? Selecting safe gaps is a key part of developing hazard perception skills.